Midland, Texas. Fort Wayne, Indiana. San Francisco and Oakland. Columbus, Ohio. Boise, Idaho. If you are a real estate agent in one of these five metro areas, congratulations! You are working in a hot market, according to Realtor.com’s August 2018 statistics. Other hot markets include Colorado Springs, Detroit, Boston, and Louisville (Kentucky). Nationwide, the housing market remains solid. A hot real estate market offers unlimited promise for real estate agents—and for your competition. Inventory is low; buyers might be getting desperate; bidding wars may erupt over the most attractive properties. Securing sellers is important, but what you do after they are under contract is equally vital. After all, a hot market doesn’t mean an easy ride. You need to work hard to deliver excellence for your clients. People want to buy homes, but in hot markets, those homes are harder to come by, thus giving potential sellers a golden opportunity to cash in on the demand. However, selling is a daunting process for many homeowners, even with the prospect of a big payout. Your job is to assure hesitant sellers—and plant the idea in homeowners who might not have even considered selling—that the time to act is now. Highlight other homes you have sold and for how much; a huge sale price on another property is sometimes the best motivation for reluctant sellers. Also, offer research into what other homes in the neighborhood have sold for. The agent-seller relationship always requires some nurturing on your part, but in a hot market, that’s not quite as difficult. Similarly, former clients are potential opportunities to succeed in a hot market. These customers have already worked with you and know your commitment and dedication. Following up with clients, whether you helped them a decade ago or just last year, confirms you are there to help no matter what their plans are. And though they might not be ready to sell now, your name will be top of mind when their friends and family ask if they know a good real estate agent. A homeowner signs a contract and you are ready and primed to sell. In a hot market, you’ll likely get offers right away (if the listing price is not outrageous—more on that next), but jumping the gun to make a deal with one shuts out other buyers who may not have seen the home and could offer more. Don’t dismiss taking a little time to get organized before showing the home. A “coming soon” sign out front can generate interest before you even have an open house. Of course, you shouldn’t wait too long, but letting a listing breathe can lead to a higher offer or even a bidding war. Overzealous homeowners may want to list at an ambitious price, hoping the hot market and a desperate buyer will pony up for what was an unthinkable amount a year ago (and still may be unthinkable). Few hot markets are that hot, and this strategy can backfire. Listed homes stuck on the market don’t draw as many serious offers, and the hot market can cool and cost sellers (and agents) in the long run. Encourage sellers to list optimistically—a top-dollar price that reflects the robust market but is still realistic. If the property is attractive, buyers may go over the asking price, but don’t bet on that with a crazy listing price. A hot market can keep real estate agents busy listing and showing houses, reaching out to previous and potential clients, doing research, and closing deals. Obviously, this is a great problem to have, but be careful not to stretch yourself too thin. If your volume of work exceeds your ability to provide outstanding service to your clients, you risk losing some of those clients and damaging your professional reputation. Being picky sounds counter-intuitive for success in a hot market, but if that what’s necessary to maximize success, then stay within your workload capabilities. 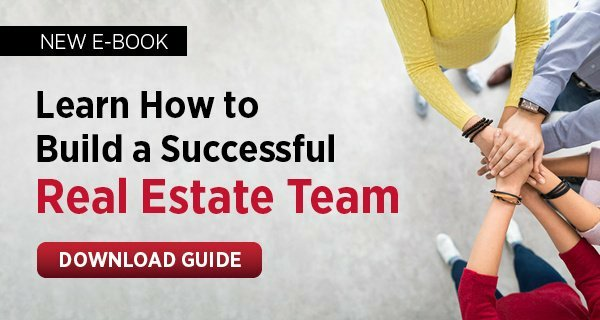 And if you lead a real estate team, lean on your coworkers to cover some tasks you normally would handle—or hire more staff to help with the boom. Brokerages want their agents to succeed in a hot market, so be sure to take advantage of all the tools and resources your broker has to offer. When you’re busy, the transaction management software, listing software, and marketing resources that many brokerages provide can save you time, increase your visibility, and allow you to close more deals and deliver great customer service. Moreover, if your brokerage is affiliated with a respected brand, homeowners may trust that you—and not another agent—are the person to guide them to a sale. In a hot market, that can make all the difference.